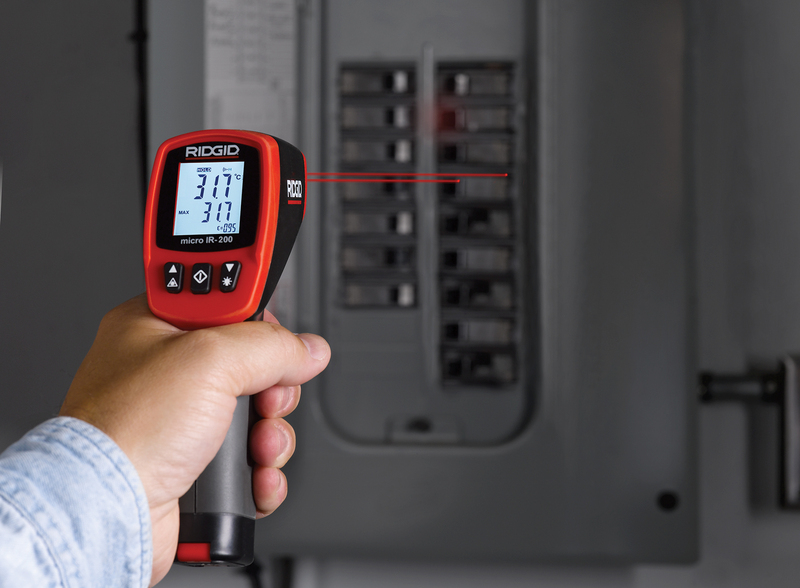 ELYRIA, OHIO – May 23, 2016 – RIDGID® has introduced an enhanced non-contact infrared thermometer featuring more precise measurements and a higher temperature range. The micro IR-200 Non-Contact Infrared Thermometer provides simple, quick and accurate surface temperature readings at the push of a button. “The new upgrades to this model are based on feedback from our customers on what they need to help them complete their most demanding jobs. 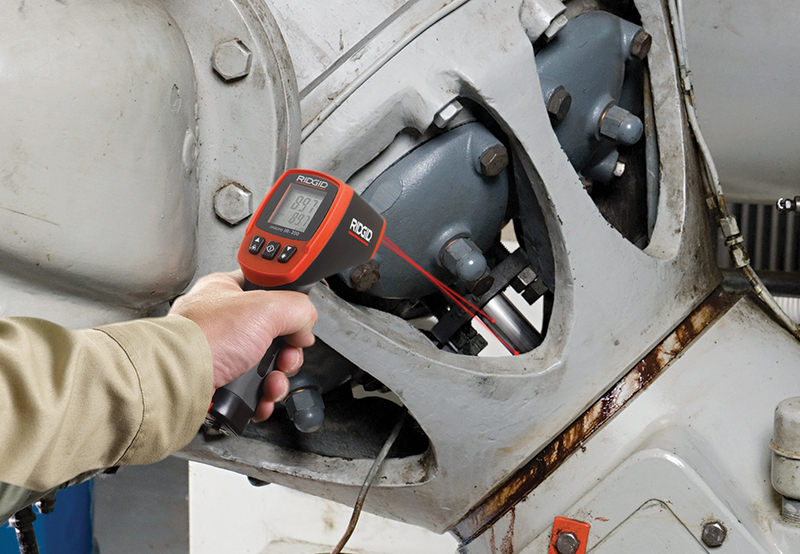 The IR-200 Non-Contact Infrared Thermometer enables professionals to accurately measure higher surface temperatures from a safe distance, allowing them to complete more jobs in less time,” said Eric Huber, RIDGID senior new product development manager. Additional features of the battery-operated IR-200 include audible and visual high and low alarms to alert users of temperatures outside of ranges set; a bright backlit display that can be turned on in poorly lit areas; and tripod mount capabilities for repeatable, precise temperature measurements. 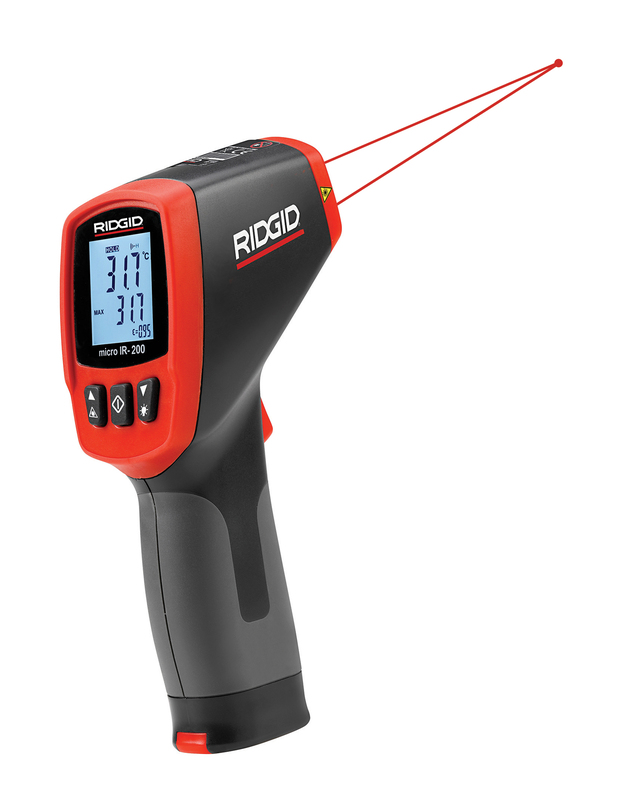 For additional information about the new micro IR-200 Non-Contact Infrared Thermometer or other measurement tools, please visit www.RIDGID.com, call toll-free: 1-800-769-7743, or contact RIDGID, 400 Clark St., Elyria, Ohio 44035 U.S.A.